Book Fraser Nelson as a keynote speaker. Fraser Nelson is editor of The Spectator and a Daily Telegraph columnist. He is also on the advisory boards of the Centre for Policy Studies and the Centre for Social Justice. 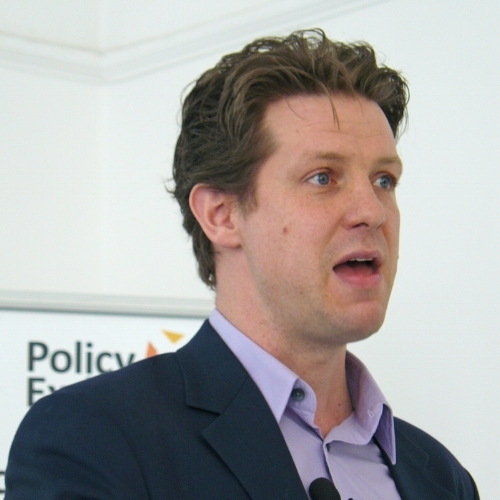 Fraser Nelson is editor of The Spectator and a Daily Telegraph columnist. He is also on the advisory boards of the Centre for Policy Studies and the Centre for Social Justice. Previously he was political editor of The Spectator from 2006-09 and before that political editor of The Scotsman. He started his career at The Herald in Glasgow and spent five years on the business desk of The Times before becoming its Scottish Political Correspondent. Fraser has made a name for himself as one of the UK's most thoughtful and nuanced commentators of the political centre-right. A seasoned journalist, he throws fascinating light on the power dynamics of Westminster as well as key trends in UK politics and society. He is also a skilled interviewer and moderator. Fraser assesses Theresa May's performance in 2017.